Can't make it to LAK'18 in Sydney? Want to meet Bay Area LA practitioners and researchers on your way south? BayLAN is a local network of researchers and professionals in the field of learning analytics. The BayLAN conference is a regional event designed to facilitate the exchange of information, case studies, ideas, and early stage research in the field of learning analytics broadly construed. The Bay Area Learning Analytics Network (BayLAN), in co-operation with SoLAR, is hosting the third annual BayLAN conference on February 24, 2018 at the University of California, Berkeley. The BayLAN conference brings together thought leaders from both industry and academia. Presentations and discussions will focus on current research at the intersection of education, data science, and technology. BayLAN is currently accepting abstract submissions for the conference. Abstracts should report on research in the broad area of learning analytics. Presentations may include technical work that applies data science or other quantitative methods to improve education, as well as interventions, methodologies, tools or technology that are intended to improve learning outcomes. Innovative new tools/techniques: Share newly developed tools or approaches to learning analytics that have been implemented at an institution. With the open access discussion going strong as ever (great reflective article here on the goal of open access from Stephen Downes, in reply to Willey's view on open access). IGI global has just released a free paper (downloading free papers seems like a good strategy) on library history from paper to cloudbased, with examples. The abstract of this paper: A Library is an organized collection of resources made accessible to a defined community for reference or borrowing. It provides physical or digital access to material, and may be a physical building, or a virtual space, or both. During the last decays, the Libraries had witnessed a continuous revolution and still do. This paper reviews the main milestone of such revolution starting from the classical up to the current Cloud-based era passing by the intermediate digital transformation period. It reviews the library types, services, problems and drive of changes from the classical form. The paper then tackles the transformation of the library to the digital form. It discusses the characteristics of the digital library, the web-based library, and the library 2.0 through their advantages and limitations. The paper finally focuses on the current Cloud-based ear, where most of the library cloud platforms, services management, innovative products and opened environments are addressed through their features, add values, pros and cons. The paper also provides a comparative study on such solutions coming up with opened research issues. Hereby, the paper provides a comprehensive overview on the development of the library till now. At the mLearn2017 in Cyprus, a free and useful eBook was launched by the International Association for Mobile Learning (IAmLearn). 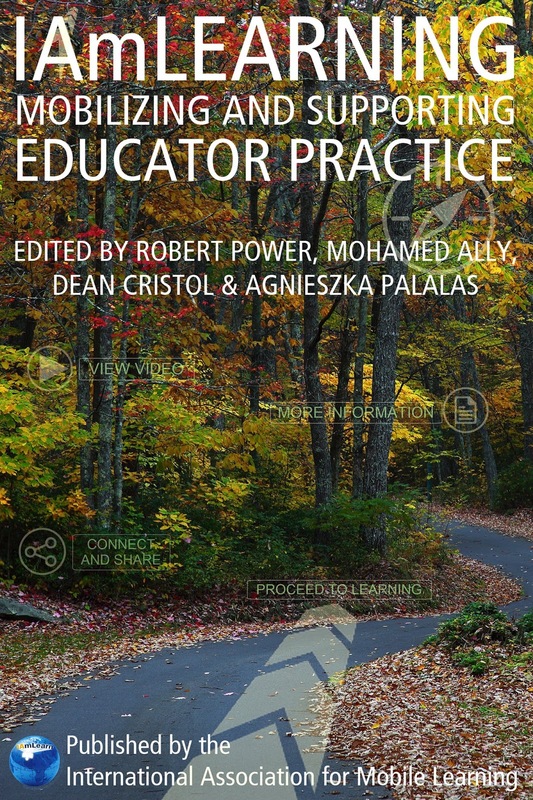 It is a free book entitled 'Mobilizing and supporting educator practice', edited by top mLearning experts (Robert Power, Mohamed Ally, Dean Cristol and Agnieszka Palalas) and as such available to all. They even have a download button (tucked away in the table of contents tab) where you can download the free book as a PDF, right here. The other download formats are ePub and mobi (great!). "Teachers are more likely to experiment with and integrate mobile learning strategies if they feel confident in their ability to do so. Professional development resources and activities that focus on making instructional design decisions can help to increase teachers’ confidence with mobile learning. Teachers have indicated that a community of practice would also help them to increase their confidence with mLearning. To that end, mobile learning experts and practitioners from the International Association for Mobile Learning (IAmLearn) have prepared this open access eBook to help create such a community of practice." The chapters in this book are useful for researchers implementing mobile learning (eg. 6 mobile learning theories! ), but above all to educators, as each chapter gives a clear description of what you - as an educator - can do and specifically, the authors added digital extra's (although I did not get the tub-tub app to work). Yes, those are ready to use in a classroom or training setting (eg. https://iamlearning.pressbooks.com/chapter/digital-extras-activity-1/ using the jigsaw method). More info on a free online learning meet-up with eLearning thought leaders, and a speaking opportunity at the eLearning Guilds Realities 360 learning event focusing on augmented and virtual reality and simulations further down this post. The Online Learning Consortium (OLC) Accelerate in collaboration with Inside Higher Ed is planning two days of virtual meet-ups with eLearning experts, called virtual thought leader interviews.. These interactive interviews, promise to provide the opportunityregistration is free and can be found here, and you only have to provide an email (for confirmation and sending you the information for login). When: Wednesday, November 15th, from 11:30 am - 1:30 pm ET and Thursday, November 16th, from 12:00 pm - 2:00 pm ET (for a time conversion, have a look here). Moderated by Inside Higher Ed Editor & Co-Founder Doug Lederman. Shindig’s unique technology will also enable online participants to discuss, network, and socialize privately with one another as if they were attendees at the OLC Accelerate Conference.The growing list of confirmed interview participants includes: Curtis Bonk, Professor at Indiana University and Owner of CourseShare, Phil Hill, Co-Publisher of the e-Literate blog, Co-Producer of e-Literate TV, and Partner at MindWires Consulting, Rolin Moe, Assistant Professor and Director of the Institute for Academic Innovation at Seattle Pacific University, Jill Buban, ‎Senior Director of Research & Innovation at ‎Online Learning Consortium, and many more! Shindig also seems to have an iOS and Android app to join the event while you're on the go. With possibly the same ability to chat privately, submit text questions, and be spotlighted to the stage - just like the desktop version. There are only 4 days left to submit a speaking proposal for 2018 Realities360 Conference. Realities360 is about exploring emerging technologies to create new and exciting immersive learning experiences. They are interested in proposals exploring the design, development, and/or implementation of learning programs that take advantage of virtual and augmented reality and simulation technologies. Event dates: 26 - 28 June 2018 in San Jose, California, USA. More info on the conference here. If your speaking proposal is accepted, you get a full conference registration for free (worthwhile!). In this post you can find three Call for Papers, two publication opportunities, and to start off multiple initiatives from EDEN (European Distance and eLearning Network) which has their online learning week (started yesterday, with free online seminars each day up until the 10th of November. An online, free event with daily seminars. The one for today is starting soon. More info here or look at the upcoming events below. You simply need to provide your name and email to get registered, and also receive the link to the recording. Format: Plenary Session live stream – Live streaming of the plenary session of the EDEN Open Classroom Conference held in Kaunas, Lithuania. Link to the broadcast will be announced soon. Participants will be able to ask questions using the conference website. A conference on EdTech, MOOCs related to languages for digital lives and cultures. Venue: Faculty of Arts and Philosophy, Abdisstraat 1, 9000 Gent, Belgium. 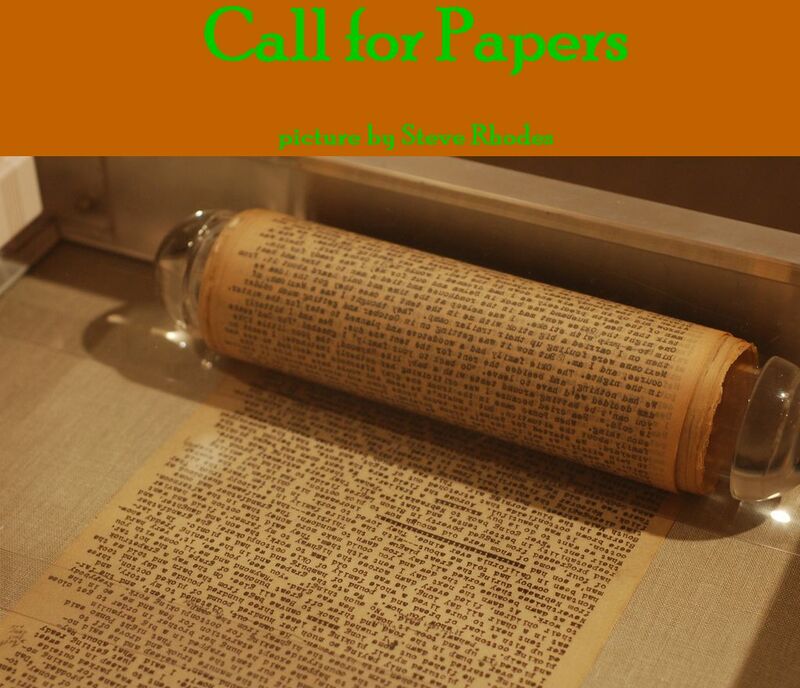 Call for abstracts deadline: 10 December 2018 (an 300 - 500 word abstract, more CfP info here). 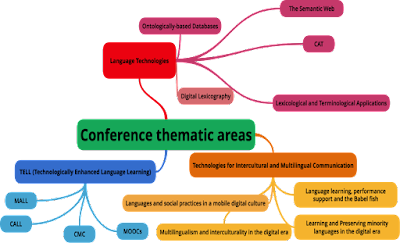 This conference offers a great opportunity to interchange knowledge and experiences, both in a formal and informal, creative way, regarding language-based digital realities. This event aims to promote academic debate on digital language technologies, with a special focus on their potential for promoting communication and (lifelong) learning. The conference will include keynotes, paper presentations, posters, a roundtable debate (on Thursday and Friday) and workshops (on Saturday). This is a blind peer-reviewed conference. Authors are invited to submit their papers in English through the conference submission system by December 8, 2017. Submissions must be original and should not have been published previously. Opportunities for publication: one on mobile learning, and one on launching at technology driven university. Publication edited byDr. Mehdi Khosrow-Pour, Executive Director of the Information Resources Management Association (IRMA). Deadline for chapter proposals: 30 November 2017. Authors of accepted proposals will be notified by no later than December 13, 2017 about the status of their proposals and will receive chapter guidelines. Full chapters are expected to be submitted by January 30, 2018. All submitted chapters will be reviewed on a double-blind basis. Contributors may also be requested to be engaged as reviewers for this project. The aim of this publication is to offer both empirical and theoretical research focused on the effective construction of technology-driven higher learning international universities. Themes such as: developing an accelerated and innovative curriculum, the recruitment and retention of internationally renowned faculty and researchers to lead courses, as well as the development of an on-campus and distance learning system will be presented. Also, taking into consideration the financial and economic impacts of launching a university – specifically, how to identify the appropriate locale for universities and/or branch campuses, which will ideally complement the local interest of business sectors within the selected location. The target audience for this publication will be entrepreneurs, practitioners, academicians, instructional designers, administrators, government officials, and independent researchers and consultants focused on online education research and scholarship, educational leadership and administration, educational marketing, educational policy, course management, instructional design, educational theory and practice, human resources in educational settings, and curriculum design and management. This looks like a good, yet paid, opportunity for those wanting to get a chapter in a research book on mobile learning. The publication is international and Open Access, but indeed the publishers demand a downpayment to get accepted (so, only when you will be published) chapters published. Education Sciences (ISSN 2227-7102, http://www.mdpi.com/journal/education) is currently running a Special Issue "Mobile Learning" (http://www.mdpi.com/journal/education/special_issues/Mobile_Learning), which is guest edited by Prof. Maria Uther, from the University of Winchester, UK. The submission deadline is 31 May 2018. You may send your manuscript now or up until the deadline. Submitted papers should not be under consideration for publication elsewhere. 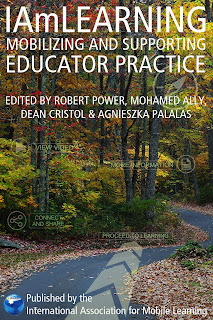 (1) provide empirical evidence on the efficacy of mobile devices for learning applications; (2) showcase novel uses or technical developments for mobile devices in learning; (3) review pedagogical and user interface design considerations and develop theories around the design of mobile learning applications; (4) interface mobile technologies with other technologies to enhance learning (e.g., speech recognition, augmented reality, psychophysiological recording); and (5) offer examples of situated learning (e.g. using augmented/virtual reality technology) with mobile devices. The above topics are indicative and we would also welcome any papers relating to mobile learning that do not immediately fit into the above categories. For further reading, please follow the link to the Special Issue Website at: http://www.mdpi.com/journal/education/special_issues/Mobile_Learning. We also encourage authors to send a short abstract or tentative title to the Editorial Office in advance (education@mdpi.com). If the Special Issue collects more than 10 papers, it will be made available in printed book format. An example could be seen at http://books.mdpi.com/. For further details on the submission process, please see the instructions for authors at http://www.mdpi.com/journal/education/instructions.